Why have potato fries when you can have SPAM® Fries?! Only ONE ingredient and it's a true classic - SPAM® Chopped Pork and Ham. Be sure to keep your SPAM® can for the perfect quirky serving dish. French fries face stiff competition from these gluten free and low carb meaty fingers! SPAM. SPAM. SPAM. No, not the annoying stuff clogging up your inbox but the iconic meat in a tin. SPAM® Chopped Pork and Ham. 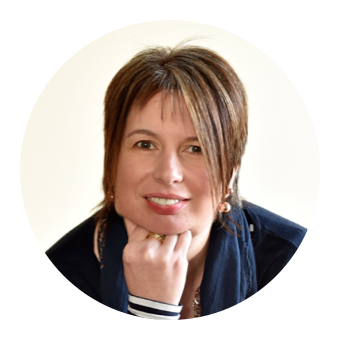 What does it mean to you? Monty Python? School Dinners? Over the years it has been maligned, celebrated and musicalised. 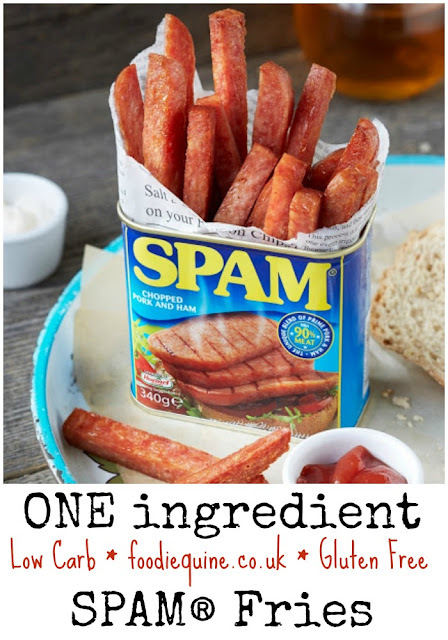 SPAM Fritters were one of my absolute favourite school dinners back in the day accompanied buy the obligatory ice cream scoops of mash and spaghetti in tomato sauce. Nostalgia ain't what it used to be. It’s 75 years since SPAM® Products came to the UK and were originally manufactured in Liverpool. To celebrate this and launch the official SPAM Appreciation Week which runs from 7th - 13th March, a specially designed, eye catching airstream van will hit the highways and byways of Britain to show thousands of people just what SPAM Can really do. Following the phenomenal success of the 2015 SPAMERICAN™ Tour in the USA, it’s now the UK’s turn to experience the the great taste and versatility of the world’s most iconic meat. The giant SPAM Can Van will be serving up samples of the increasingly popular SPAM Fries, which are popping up in fashionable restaurants across the UK. 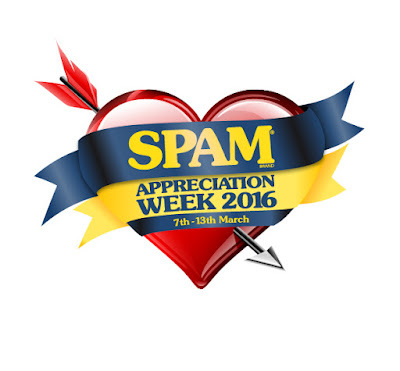 Regional chefs and special guests will be on hand at some of the events to show just how versatile SPAM Can be. 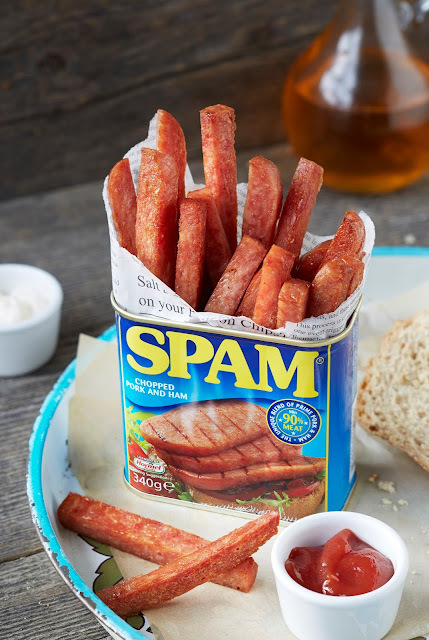 Freebies on the tour will include lanyards which show the various ways SPAM Can be enjoyed, from the ultimate breakfast fry up to traditional favourites such as SPAM Hash. There will also be the chance to pick up SPAM branded trolley coins, perfect for when you don't have a pound to hand at the supermarket. At family events there will also be the chance to play a specially created SPAM Can Alley game and everyone will have the chance to have their photo taken in the Giant SPAM Can. Disclosure: This is a commissioned post for SPAM® Chopped Pork and Ham. As always, all views expressed are my own. Images and recipe courtesy of SPAM®. Now I have to admit that I've never tried spam before - but those fries do look tasty! I have never tried spam before and have always wondered how it tasted. Thanks for sharing!! 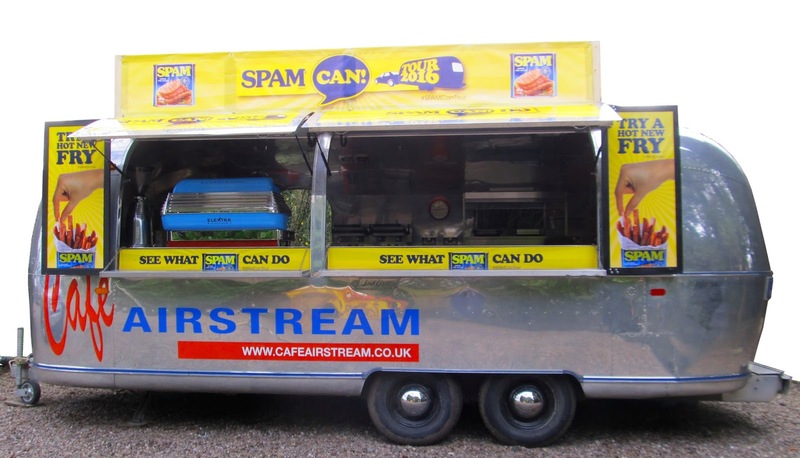 CAn the Spam can van come to Cornwall next year?